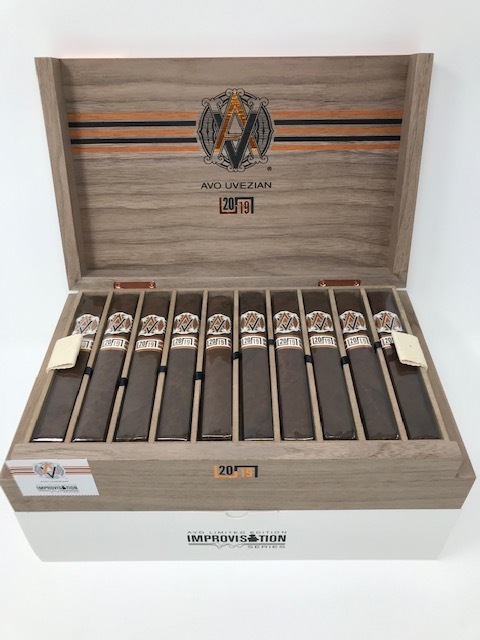 Avo Improvisations series release features a box pressed format, the LE19 blend utilizes different tobaccos from three different countries including a stunning dark brown Ecuadorian wrapper that is silky to the touch with an initial aroma that features a combination of sweet cedar and earth. The Dominican binder leaf envelopes five different filler tobaccos comprised of both Dominican and Peruvian leaves, delivering a complex and intense palate stimulation with the perfect balance of thick cream and earthy spice. Ecuador wrapper adornes this beautifully made box pressed Dominican filler and binder. Medium to Full Body, and Full Flavor.